Getting my thoughts down on the new episode while they’re still fresh. The story as a whole is gaining some decent momentum, with Ross taking a more active interest in reviving the family mine–a welcome change from last week’s incessant moping over Elizabeth. While there’s still a fair amount of that, Ross throwing himself wholeheartedly into a new project is as welcome as a breath of Cornish sea air. Aidan Turner continues to grow into the part. He’s a younger, more soft-spoken Ross, more inclined to wear his heart on his sleeve, and lacking some of Robin Ellis’s crispness and authority. Nonetheless, he has a good rapport with the miners, and he’s a bit gentler with Demelza than he is in either the books or Poldark 1975. No harm there, as this slightly more cowed, feral, fragile Demelza responds well to gentleness. Rolled my eyes a little over the skinny-dipping scene, which has become almost a screen cliche since the 1995 miniseries of Pride & Prejudice. But only a little–because Ross does go swimming in the sea after his one-night stand with Margaret the prostitute. 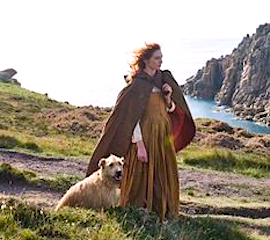 Demelza getting an eyeful, though, is pure series invention. I was less impressed by the way the show is handling the supporting characters, which I am going to rant about at some length, so be warned. Since one major selling point of the new series has been that it adheres more closely to the books, I was taken aback by them having Basset commit suicide over his bankruptcy–which never happens. In fact, Basset–an occasional ally of Ross–has a significant role in later books, plus he remains financially solvent throughout. So, unless they’re going to bring on a younger Basset (the son and heir), this twist makes little sense beyond providing a moment of shock value and showing how bad the Warleggans are. Apropos of which, George Warleggan is overdoing the Iago shtick of dripping malice and poison in everyone’s ears. While I like the idea of George being present early on–he doesn’t make his onscreen appearance until Episode 6 of the 1975 miniseries–he’s way too obvious in his villainy at this point. You half-expect him to leave a trail of slime wherever he goes. The antipathy between Ross and George has a slower build and burn in the books, plus George doesn’t overplay his hand regarding the Trenwith Poldarks. His open admiration for Elizabeth (contrary to the last episode’s insinuation, George actually wasn’t much of a rake) and his largesse towards Francis have both of them thinking George is their BFF, at least for a while. I also find this George too smooth, foppish, and physically slight–he’s supposed to have a more impressive, muscular physique that recalls his grandfather’s blacksmith origins. This fellow looks as though Turner’s Ross could snap him in half like a twig. 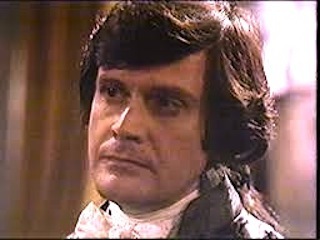 So could Ralph Bates, who played George in Poldark 1975. Finally, there was Verity’s doomed romance, which was at once too truncated and too heavy-handed. In the books, Verity and Blamey’s story plays out over several months as she gets to know him and come to terms with his ugly past before deciding to take a chance on a life with him. (There was no whitewashing of his history by claiming his wife struck him first and that she hit her head by accident: a drunken Blamey kicked her while she was pregnant, and she died of her injuries.) Having Verity meet, fall in love with, and be ready to elope with Blamey in one episode makes her look desperate and rather pathetic, instead of strong and mostly sensible. For that matter, it wasn’t necessary to make all the men in Verity’s family ogres just to show us the oppression of women in 18th century England. Far from being an unpaid, unappreciated drudge ordered around by her selfish father, Verity is a much-loved daughter of the house, on whom everyone depends, because fair, fragile Elizabeth may not be capable of shouldering all the responsibilities of being mistress of Trenwith. Charles isn’t even opposed to Verity getting married, because he knows she hasn’t had many admirers, and he is sorry to deny her when her suitor’s ugly secret becomes known. And really, who wouldn’t have serious reservations about one’s daughter marrying a domestic abuser and ex-con? And for Verity, love and duty have as much to do with her ultimate decision to break with Blamey as opposition from her father and brother. Regarding the latter: Francis is coming off even worse than Charles, condemning Blamey even as he himself knocks Verity to the floor when she tries to stop the duel. But then, pretty much everything is “off” about Francis’s characterization in this new series: he’s been given all the flaws and weaknesses, but none of the book version’s redeeming qualities. While Francis isn’t as dashing or as tough as Ross, neither is he a complete drip and weakling. He can be wry, witty, and even funny in a snarky way (snarkier than Ross, actually). He is also capable of regretting his misdeeds and working to atone for them (this is further down the road in the story, but worth mentioning all the same). 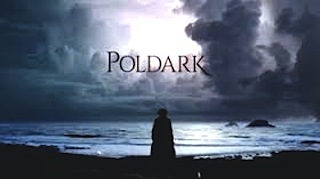 None of those qualities are in evidence in Poldark 2015, sad to say. Clive Francis, who played the part in Poldark 1975, was far superior to Kyle Soller in conveying different aspects of the character, even in the first few episodes. As for technical matters, I’m already over the stock footage of Ross galloping his horse in silhouette along the Cliffs of Alienation. Can’t he just be shown departing one place and arriving at his destination? And the recurring Celtic Theme of Romantic Frustration has gone past plaintive and all the way into whiny (and I say this as someone who likes Celtic music). By its third or fourth iteration in the episode, I was ready to strangle the violin player with his (or her) own strings. I don’t object to a soundtrack or incidental music, but for heaven’s sake, mix it up a bit! Why would Ross be a “sap” when it comes to Elizabeth? I get it that he is in love with her . . . and never really got over her. But I would call his feelings obsessive, instead of him being a sap. Thanks for stopping by! I agree that Ross, in all his incarnations, is obsessed with Elizabeth, mainly because a) he has never had her, and b) he’s never had the chance to fall out of love with her naturally. Which is something that could have happened if he’d stayed in Cornwall instead of going off to war. But I did find NuRoss (2015 version) a bit moonier and yes, sappier than either his book or 1970s counterpart because he was so quick to build up fantasies about Elizabeth every time she smiled at him. When she showed up at Nampara, he seemed to be expecting her to say, “I’ve made a mistake. I love you, not Francis, and I’m leaving him so we can be together.” (At least ’75 Ross had the excuse of that actually happening onscreen). And the way his face fell, when she told him she was pregnant with Francis’s child. I felt sorry for him, but I was exasperated with him too. On a purely practical level, he should have known better than to believe a sheltered, aristocratic young woman, used to being taken care of, would leave her landed, doting husband and advantageous marriage to live in comparative squalor at Nampara. Even NuRoss acknowledged to Demelza that he’d been building “castles in the air” on the basis of “winks and smiles” and that he felt like a “half-wit” for doing so. And I couldn’t exactly disagree with him. While Francis isn’t as dashing or as tough as Ross, neither is he a complete drip and weakling. He can be wry, witty, and even funny in a snarky way (snarkier than Ross, actually). He is also capable of regretting his misdeeds and working to atone for them (this is further down the road in the story, but worth mentioning all the same). 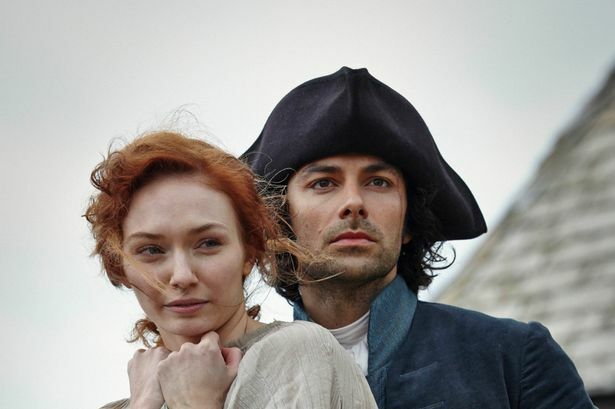 None of those qualities are in evidence in Poldark 2015, sad to say. Clive Francis, who played the part in Poldark 1975, was far superior to Kyle Soller in conveying different aspects of the character, even in the first few episodes. 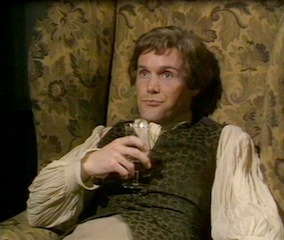 Clive Francis’ portrayal of Francis as snarky seemed more evident in the second season of the 1970s series. I don’t think the 2015 Francis has come to that point. Yet, I have noticed little hints of sarcasm in the first season. Actually, I’m very impressed by Soller’s performance. I think too many viewers are paying more attention to how they dislike Francis, instead of how good the actor is. I found CF’s Francis pretty snarky from the start, mainly in the way he and Charles tended to gibe at each other. Plus, CF played Francis as if he resented the strong hold his father had over their branch of the family. He mouthed off to Charles several times and expressed the wish for more power and authority of his own, which Charles wasn’t prepared to give him. KS’s Francis just looked like a kicked puppy every time Charles criticized him, all moist-eyed and hapless. And every bit as incapable as Charles claimed. Because I come to the new series as primarily a fan of the novels, I find that characterization less nuanced and less compelling, which may be more the fault of the writer than the actor. There’s room for NuFrancis to develop in the second series–I only hope he gets the chance to do so and that it’s not just the “Ross and Demelza Show,” much as I love both characters. CF blew me away with Francis’s character arc in Jeremy Poldark: all guilt, remorse, self-loathing, and anger–at himself and at former BFF, George Warleggan. It would be nice to see KS rise to the challenge and deliver the goods there too. Thank you for commenting. I always enjoy discussing Poldark, in all its forms. Kyle Soller has risen to the occasion, as far as I’m concerned. Just not in the same manner as Clive Francis. At least that is my point of view. Well, I hope KS will win me over too, in the new series when the character will have richer material. At the very least, I hope to see a Francis who’s closer to Graham’s conception of him rather than the hapless puppy the new screenwriters have given us. I just finished watching the first four episodes of the 1975 series. I have to be brutally honest . . . I was not that impressed by Clive Francis’ portrayal of Francis. I thought he came off as cold, except in three scenes – one, in which he nearly drowned in that mine, while Ross watched; two, in which he reacted with anger over the discovery regarding Verity’s romance with the captain; and three, when Elizabeth told him that she was leaving him (which never happened in the novel). Not once did the actor convey any signs of Francis’ dry humor in those first four episodes from the 70s. Worse, he was not that interesting as a character. But like I said . . . it was only the first four episodes. And honestly, Kyle Soller’s Francis proved to be more interesting in his first four episodes for the 2015 series. I’m a fan of Clive Francis. But he has yet to impress me as Francis Poldark, just as Kyle Soller has yet to impress you. That’s all.